My sixth ground of 2016 was on Monday 28th March at Station View in Harrogate, North Yorkshire. 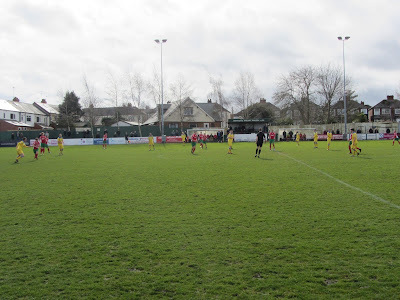 The match was Harrogate Railway Athletic vs. Farlsey Celtic in the Northern Premier League Division One North. As the name suggests the Station View ground sits within sight of Starbeck railway station in the east of Harrogate. 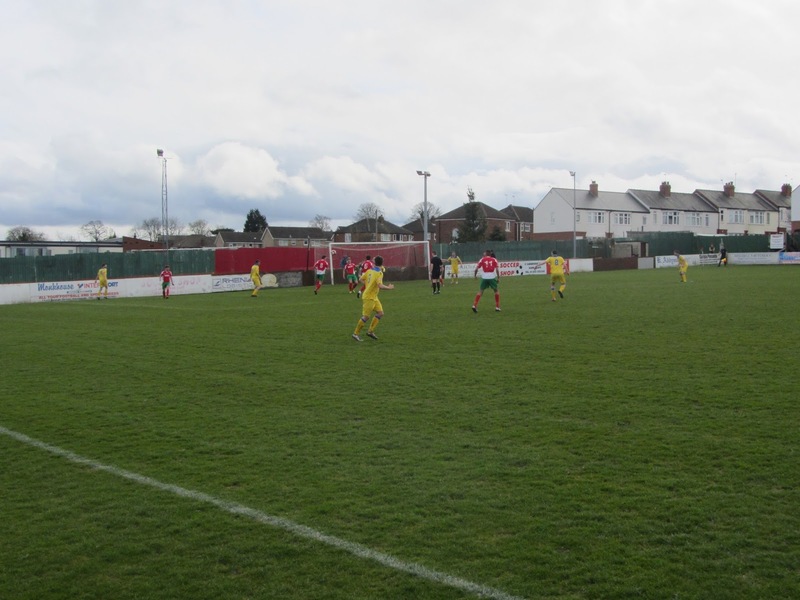 The venue is a couple of hundred yards from the station where the club was formed by railway workers in 1935. 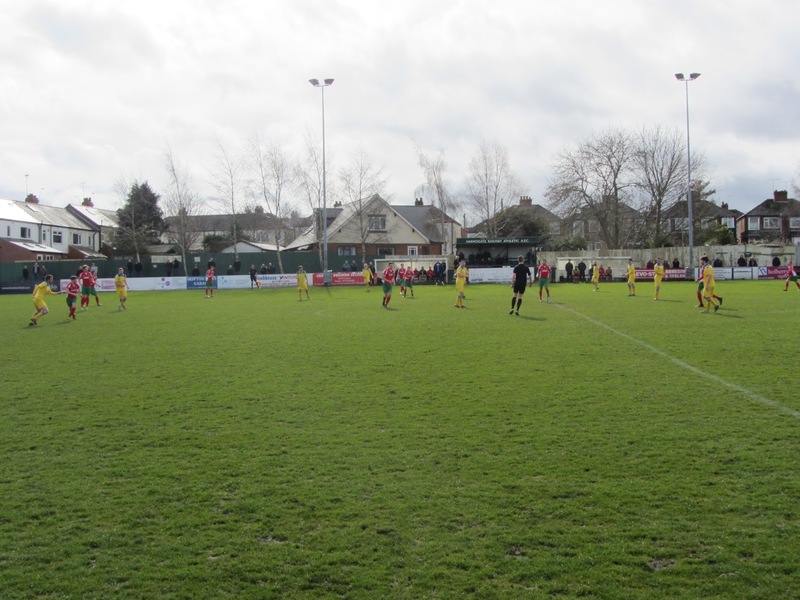 It has remained Harrogate Railway Athletic's home ever since. 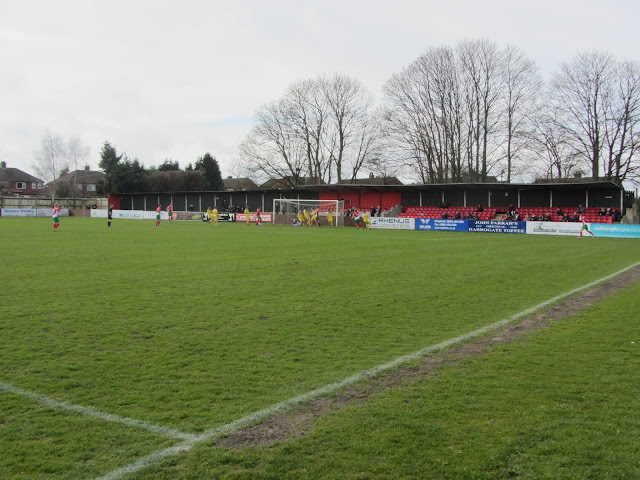 The western part of the ground has a tiny 38-seat structure known as the Shaun Glennon Stand set into a grass bank and in front of this are the two dugouts. Either side of the stand there is uncovered standing with 3 rows of concrete terracing towards the southern goal. The northern end behind the other goal is all covered but it is split in the middle with concrete terracing for the western half and seating for the eastern half. As the pitch slopes down towards the eastern end of the ground more rows are added as you work your way along. In north-east corner there is small building housing a club shop and a food outlet. The eastern side itself is uncovered standing with a small car park located directly behind. The south-east corner then has a modern clubhouse building while the area behind the southern goal is similarly uncovered standing with a fairly narrow section between the goal and the fence. Farlsey were the better side in the first half - they played some nice passing football but were unable to fashion an end product early on. That state of affairs lasted until the 35th minute when they managed to take the lead. 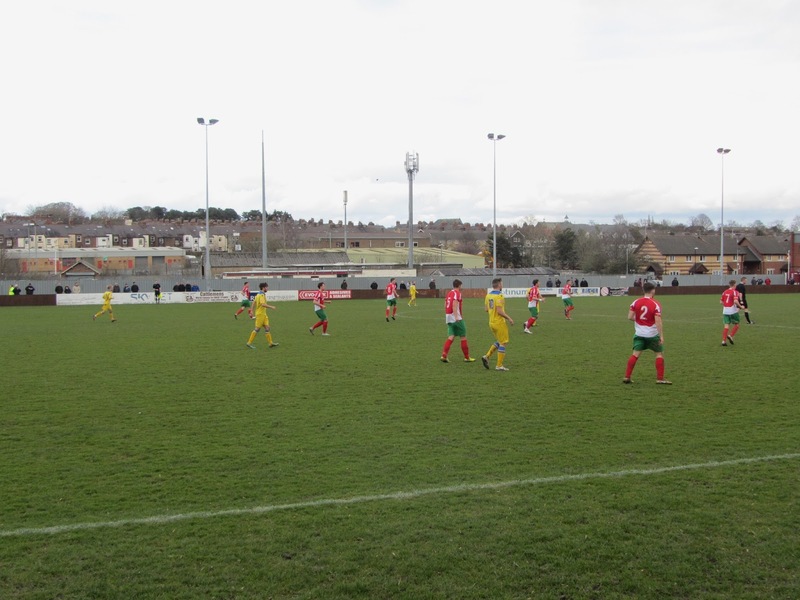 A ball into Harrogate's box wasn't cleared well and it fell to Aiden Savory who did a nice drag back to create space to allow him to drill the ball into the bottom corner from six yards out. 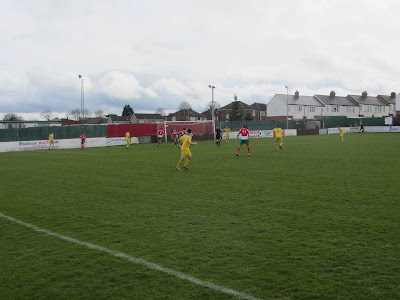 A few minutes later the same man almost put the visitors 2-0 up when he had a shot saved at point blank range. 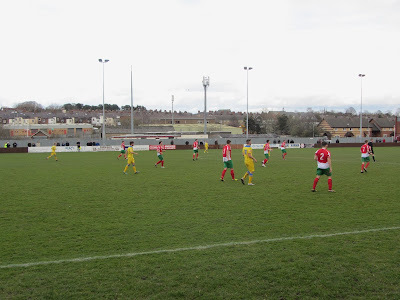 The away side looked fairly comfortable until they gifted Harrogate an equaliser in the 53rd minute when a very short backpass was picked up by Chris Ovington who slotted past the keeper. Both sides had good spells after this and both keepers were on decent forms to keep the scores level. Aiden Savory caused the home side all kinds of problems throughout the game and he had another point blank effort saved before he hit the post with a curled effort with a few minutes to go.